EasyStroke is an application which can recognize gesture made by pointing devices such as mouse, pen, finger, etc. Gestures or strokes handled by EasyStroke are movements of pointing devices while holding down a specific mouse button. EasyStroke will execute certain actions configured by users if it recognizes the stroke, EasyStroke can emulate key presses, execute shell command, hold down modifiers, etc. There is an interested feature of EasyStroke that is "application-dependent gesture" ability which only take an action depending on recently active application. 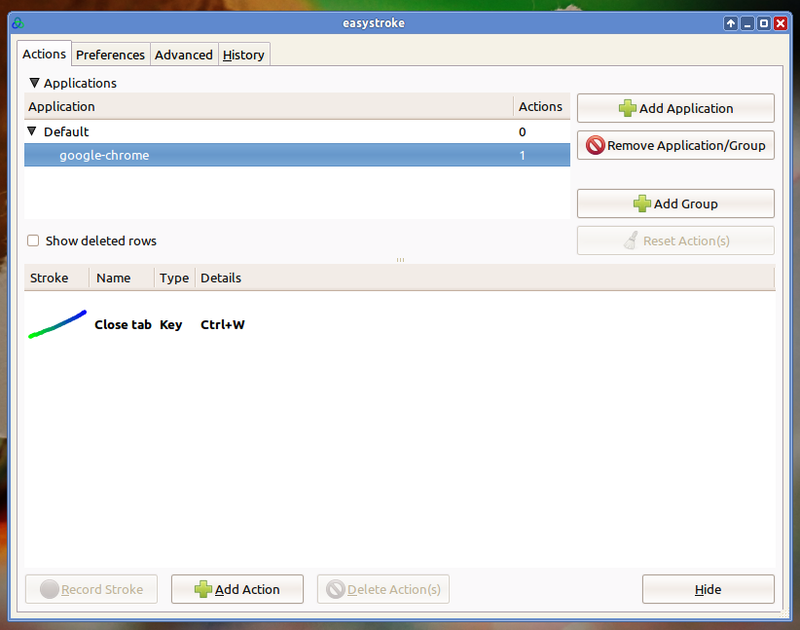 Please note that EasyStroke is an old application and might be not fully supported by latest Ubuntu version. Fortunately, I have tested it on Ubuntu 11.10 Oneiric Ocelot (XFCE) and everything works well. Once installed, EasyStroke can be accessed via "Accessories" category on menu. 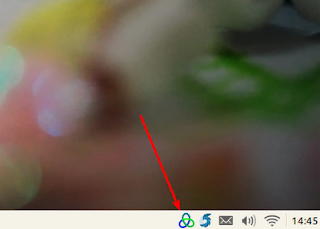 When you run the application, you will have an icon on notification area. 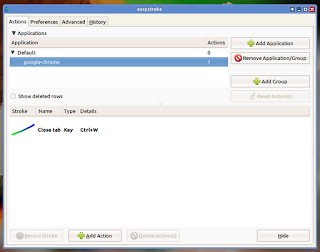 It will run EasyStroke and open configuration windows automatically. For EasyStroke configuration, please refer to the official documentation.